This post may have affiliate links. Read my full disclosure policy here. Funny it took me this long. The truth is, this whole process took longer than 2 weeks. The blog you’re seeing right now is more like 2 YEARS in the making, if you’re going to count the time the idea was first conceived. But as soon as I made up my mind to launch a brand new blog, I was on a roll. In two weeks, I registered a new domain, migrated old posts (the ones I wanted to keep), installed a new WordPress theme, set up all the essentials, and.. voila, here we are now. Welcome to The Purpose Blog. Chasing Dreams is my 9-year old blog that, at my convenience, became everything I needed it to be. 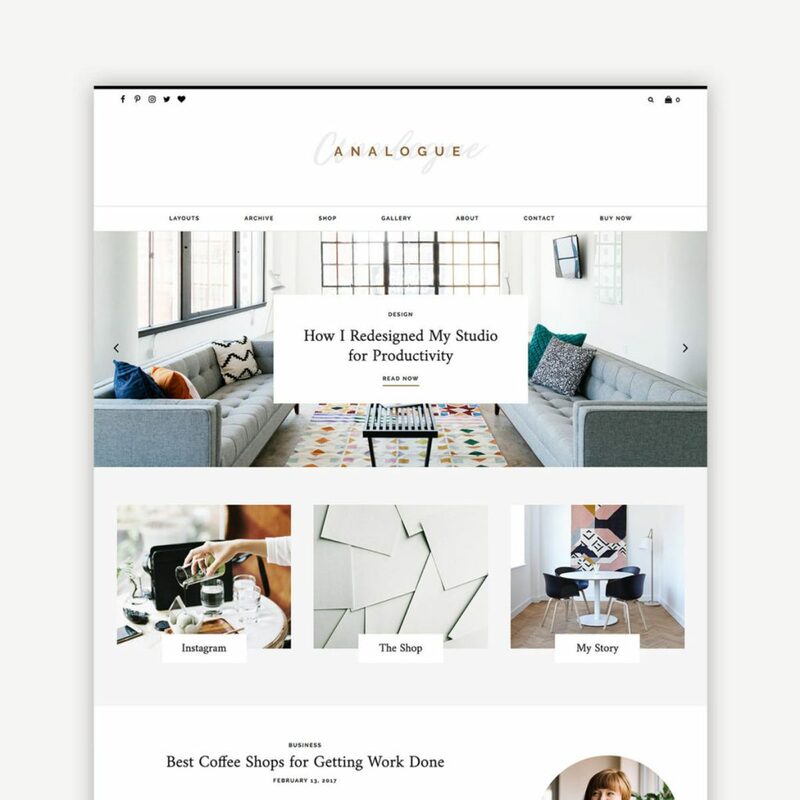 It started off as a personal blog, which somewhat became a lifestyle blog when I started attracting brand sponsorships; and then it became a portfolio that I used to score freelance projects; and then it became a Boutique Design Studio when I started offering branding and web design services; and then it became an online shop when I started selling merch; eventually transitioning back to the family and lifestyle blog that it is today. Pro-tip: The beauty of self-hosted blogs as opposed to social media pages—your blog is yours! You can do whatever you want with it, and you can turn it into whatever serves your purpose, whenever you need it. While all of that was happening, I was also gaining a lot of professional experience in digital marketing. (Read more of my backstory here.) I didn’t really take it seriously in the beginning but people come to me for advice on blogging and digital marketing-related topics, and I realized that I actually enjoy sharing what I know. 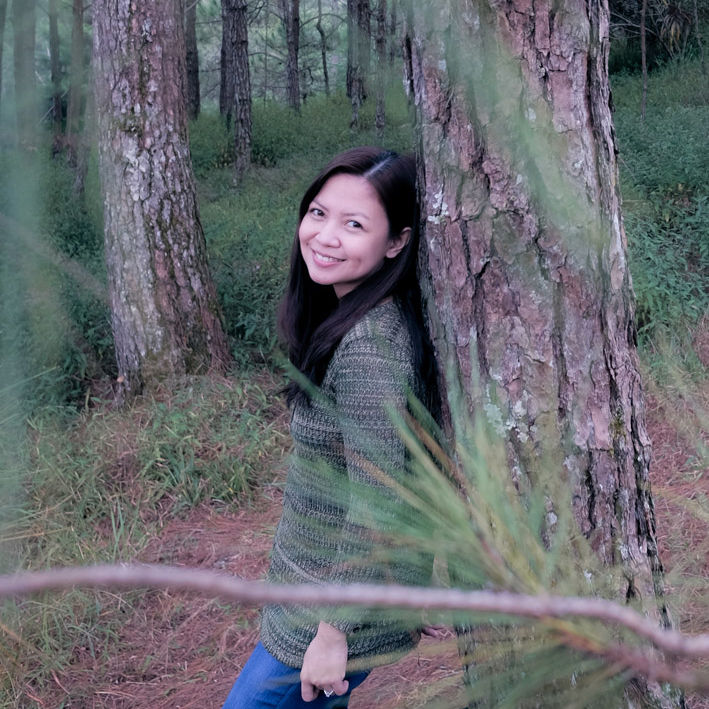 It grew in my heart and burned inside of me, the desire to teach blogging as a way to create meaningful content, to inspire change, and to make a living. 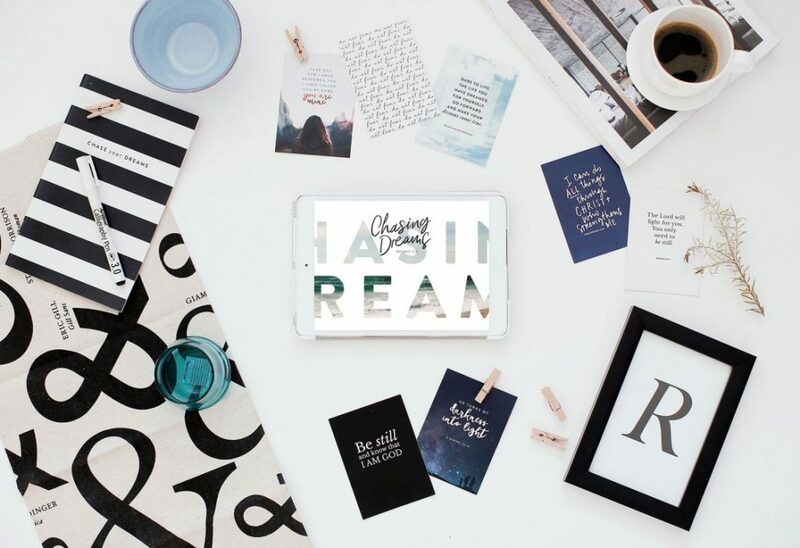 Little by little, I started publishing blogging resources on ChasingDreams.net. 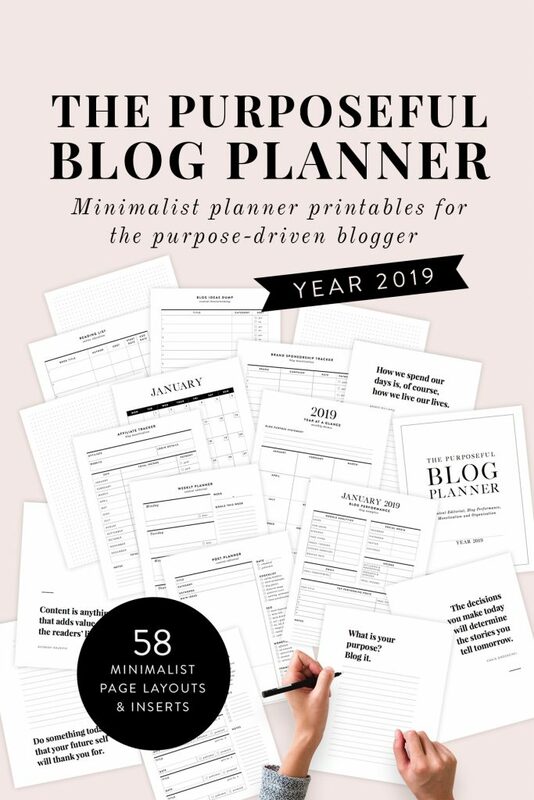 I launched a free 7-Day e-course on Blogging with Purpose and had an entire content editorial calendar on this topic. For a short while, this blogging resource site resided in a small section in ChasingDreams.net, which I somehow knew from the beginning wouldn’t hold for long. It has to have its own space, its own identity, its own purpose. You want to start blogging again? Just do it already! This post will start to get technical in a second, and maybe you don’t need to go through this whole process like I did. 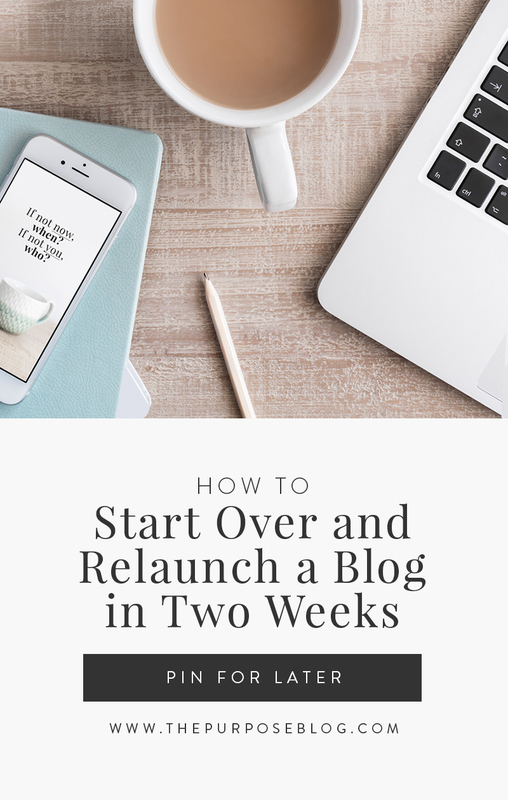 Maybe you don’t need to start a new blog or relaunch an old one. Maybe you just need to start hitting “publish” on your blog again after not updating it for months. Maybe you need to stop saying “I miss blogging” or “I want to blog again” and just start blogging already. Maybe you need to stop saying “someday” and just start doing something TODAY. If there’s one thing I hope you’d take away from this post, it’s to JUST DO IT. You’ll never know what you’re missing unless you make the first step. You have an old blog that doesn’t resonate anymore with where you are in life and what you want to pursue moving forward. You have an old blog that you stopped updating for some reason, you want to get back to blogging, and you’re wondering whether you should continue your old blog or start a new one. You have a blog that you don’t necessarily want to change, BUT you’re experiencing technical difficulties that are slowing you down and affecting your creative process in major ways that you’re in the verge of quitting. You’ve been blogging for a while, you love it so much that you want to level up your blogging, monetize your content, and possibly make a full-time income from it. I was all of the above at certain points, and there were a lot of questions going on in my head: Should I change my domain name? Do I keep my old web host? Do I change both domain name and web host? Should I migrate (and rebrand) old content or just start fresh? There’s no one way to do this process because we’re coming from different situations. But for this post, I’m using my own experience as the starting point. For me, specifically, the scenario looked like this. I needed to replace my web hosting provider since I was experiencing a lot of server issues with the previous one. I decided to register a new domain name to separate my personal blog from this new blog project. Which also means, I needed to migrate some content (not all!) from the old blog into this new one. Lastly, I intend to have income streams integrated into this new blog, which means I’m also more than willing to put money into tools that will make this space run efficiently. That said, here’s my step-by-step, 2-week relaunch process. Sign up for a Siteground plan. To set some grounds for comparison, I was a loyal Dreamhost user for years until I started having issues, I tried migrating to Bluehost, I had a really bad experience with InMotion Hosting, I also played around Squarespace for 3 months. I read through all the “Bluehost vs Siteground” comparison reviews you’d find on the first 3 pages of Google. I also studied dozens of other web hosting reviews. I talked about this with more detail here. In both my extensive research and my personal experience, Siteground is the clear winner for bloggers like you and me. I feel so strongly about this because I can attest to how important it is that your blog is hosted on a fast loading, high performing, and secured web space. It makes a lot of difference to your creativity, your website’s performance, and your time management too. There’s more to blogging that you want to spend your hours on, and server problems are an unnecessary baggage you don’t want to be carrying around. You had the domain name for a while, and domain authority matters to you. Specifically, in the eyes of Google, a domain’s age can be an indication of authority. So if you had the domain name for, say, more than 5 years, AND you’ve been consistently promoting and publishing content on it as well, you might want to think twice about letting your old domain name go. However, consider also if it satisfies #2. Migrate Old Content to the New Blog. I used the WordPress Migrator for ChasingDreams.net since I intended to keep ALL of my old content and files. If you have 8 years worth of blog content and photos to transfer (like I did), migration can be super stressful! Siteground makes this seamless and painless, with little to no downtimes! Epic. That said, I only transferred a few pages from ChasingDreams.net to ThePurposeblog.com. Naturally, I only transferred here the posts that have to do with blogging. On your old blog’s WordPress dashboard, manually place the posts you want to migrate under a unique category. 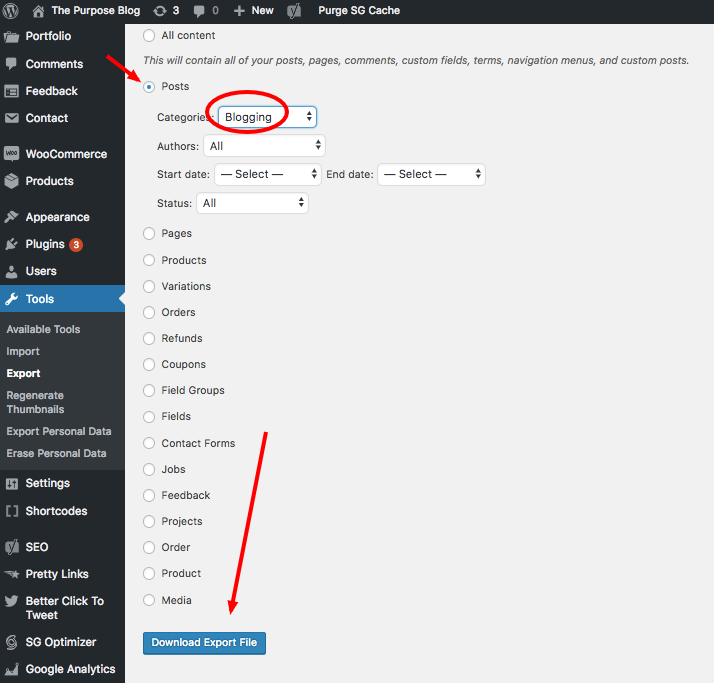 Using WordPress’ built-in Export functionality (Tools > Export), choose the category to migrate and download the export file. Feeling overwhelmed by the migration process? Seriously Consider Starting on a Clean Slate! Migrating websites can get really overwhelming. This is why starting on a clean slate may be a wiser and more practical option for you. Think hard about how truly important your old posts are to your new blog. Are they relevant to your new blog’s purpose, topic-wise? Sometimes, it’s hard to let go of these old posts (trust me, I know!) even when they don’t have any real value to your bottom line. For all you know, these old irrelevant posts might cause your website’s performance and visibility more harm than good. I personally deleted and removed an enormous amount of old content (the LiveJournal-esque ones LOL) from my old blog. Sure, I kept a copy of them for posterity’s sake. But they don’t have any purpose anymore moving forward so it was easy for me to let them go. Think about it! Consider starting fresh. 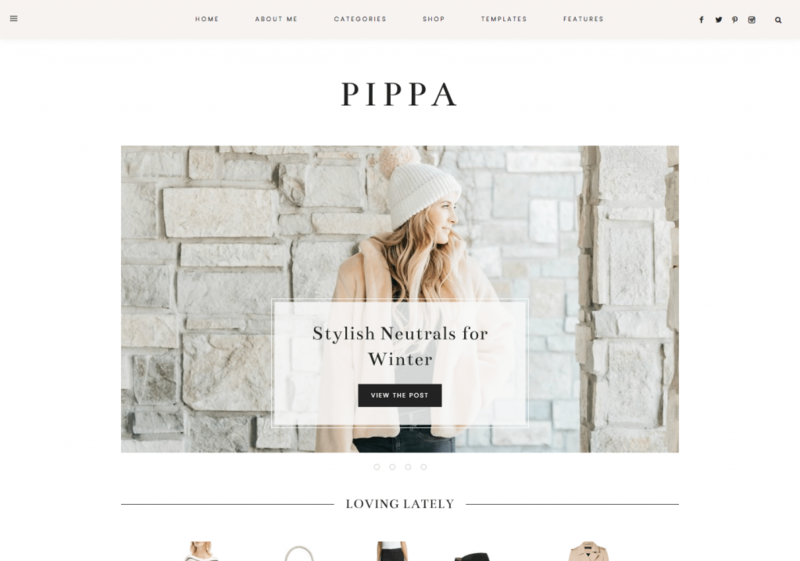 Create a Simple Blog Style Guide. It gets tempting to dwell on this stage but I say, don’t spend more than 2 days on your blog’s design if you’re doing the DIY route. I used to spend so much time designing my own logos, but now I’m more appreciative of simple, minimalist, text-based ones. My current straightforward logo design process? Pick a font, apply kerning, done! Your branding, after all, is not your logo. Branding is the overall vibe of your blog, how you present yourself through your content, what other people talk about you when you’re not in the room, so to speak. 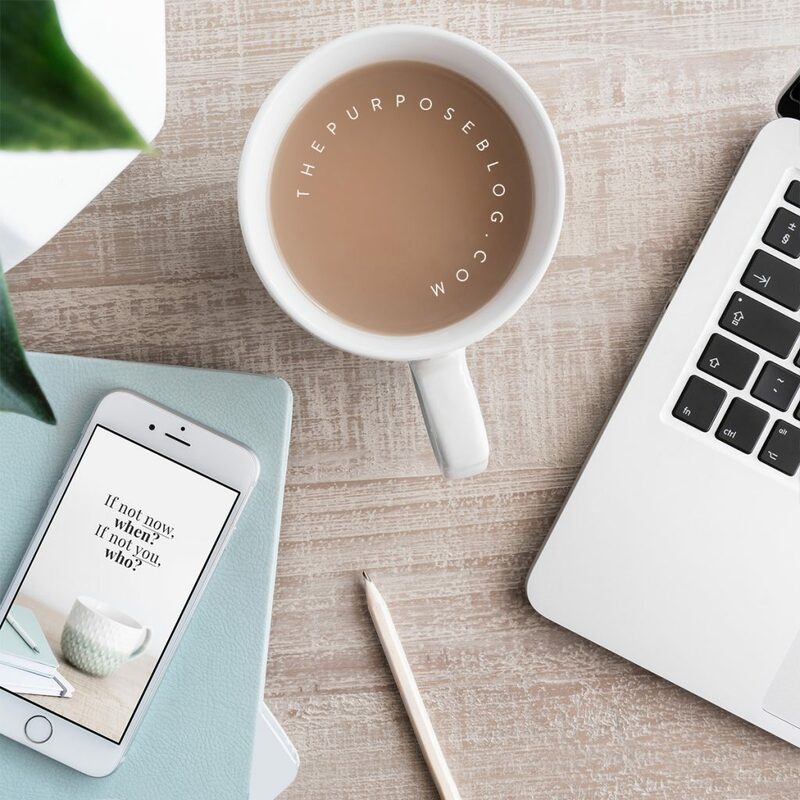 When it comes to blogging, especially if you’re in the early stages, the best way to establish your brand is first and foremost through content. So don’t stress out over your logo, really. Less is more when choosing web fonts. Having too many font types all over your blog can be stressful to the eyes, so don’t go beyond 2-3 font types for your blog. 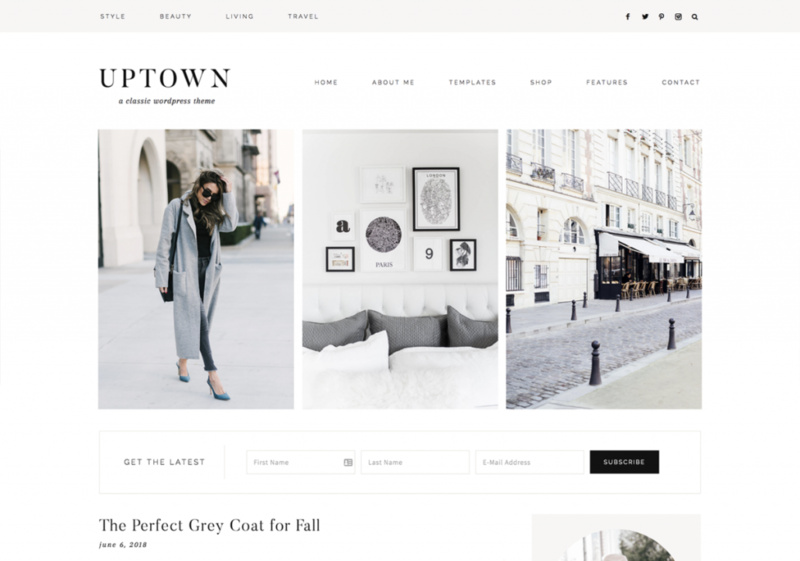 The good thing about investing in a premium WordPress theme (step #7) is that they already come with pro-looking font combinations and plugins that make customizing and switching fonts super easy. For designing logos and blog headers, I like investing in premium fonts. 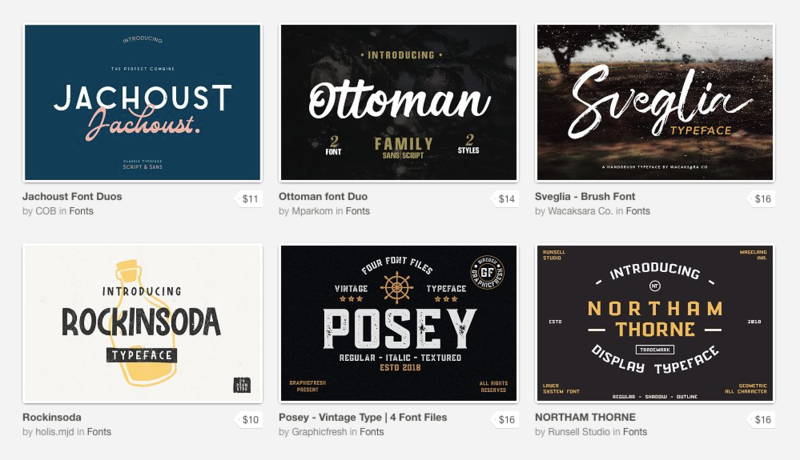 Creative Market is a good place to find affordable font types you’d like to keep using across the board—from your branded Pinterest covers to your blog pages to your social media channels. 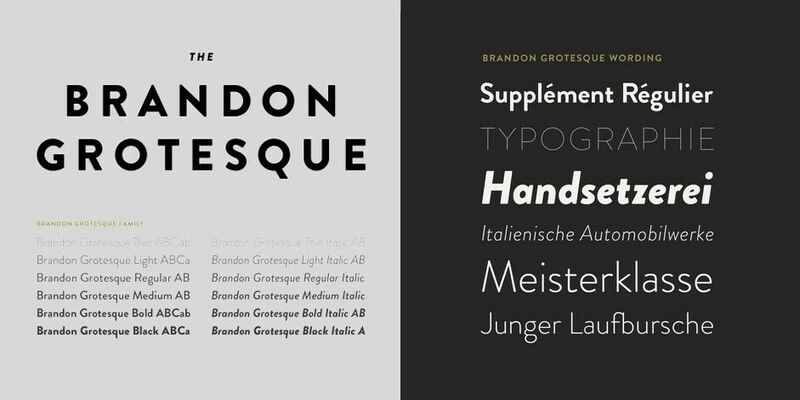 Confession time: I have a thing for this font type called BRANDON GROTESQUE. If you’re a design or typography enthusiast, I’m willing to bet it didn’t take you a second to notice Brandon Grotesque all over my website/s and designs. I can not help myself, you guys. I’ve been using this font type for… 7 years now, and I’m still in love with it until now. I might as well be married to it, haha. But this font is a bit pricey too, and I’m glad there are new fonts that are available today that are more affordable. I hope you find a font you’d like to marry too. Haha. I recommend investing in a display font to use for your logo, and choosing a sans serif or serif combinations from Google Fonts for your web content. Again, Google font types are usually plugged in a premium WordPress theme already. Applying color is one way to give your blog pages some form of continuity and personality. It’s also nice to look into color psychology if you want to be more intentional in choosing colors. When deciding on your color palette, I recommend choosing one accent color and one neutral color. You’ll need this color palette when you’re planning out your visuals across your blog and social media. I couldn’t stress enough how important visuals are in blogging, especially for creatives. And even more essential if your target readers are also creative people. Good visuals attract people to your blog and make your pages look more professional. They also play a huge role in your brand strategy, specifically in the way photos carry a consistent vibe across your blog pages and social media channels. That being said, I also know how time-consuming it is to squeeze in a photo shoot for the purpose of taking branded photos. For sure, if you have the extra time, publishing original photos on your blog is still the best option. But investing in stock photo bundles is proving to be a cost-efficient alternative today. Especially when you’re relaunching a blog, you will need photos on your main pages that would look uniform across the board. There are so many good premium stock photos available online and I like getting mine from Creative Market. 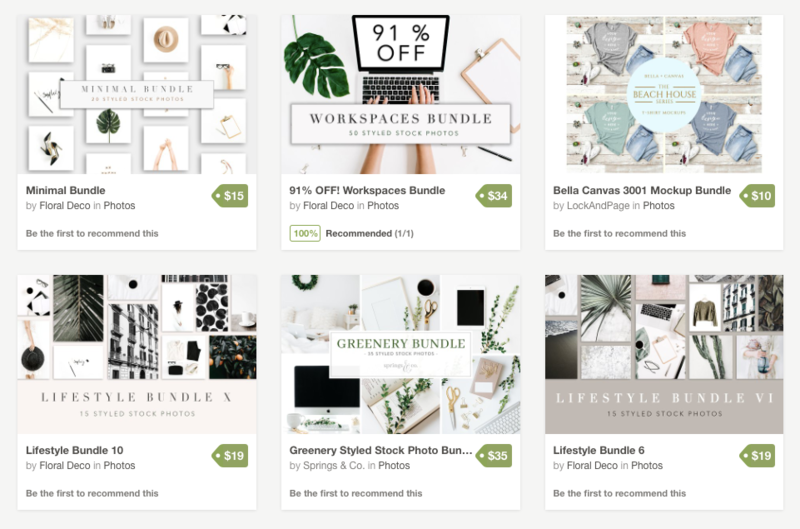 The good thing about buying a stock photo bundle, aside from saving a ton of cash, is that you get a set of photos that have a unified look for such a small price. More so, because these stock photo sellers are professionals themselves, they know exactly what you need as well. They apply the best practices in styling photos and dimensions. 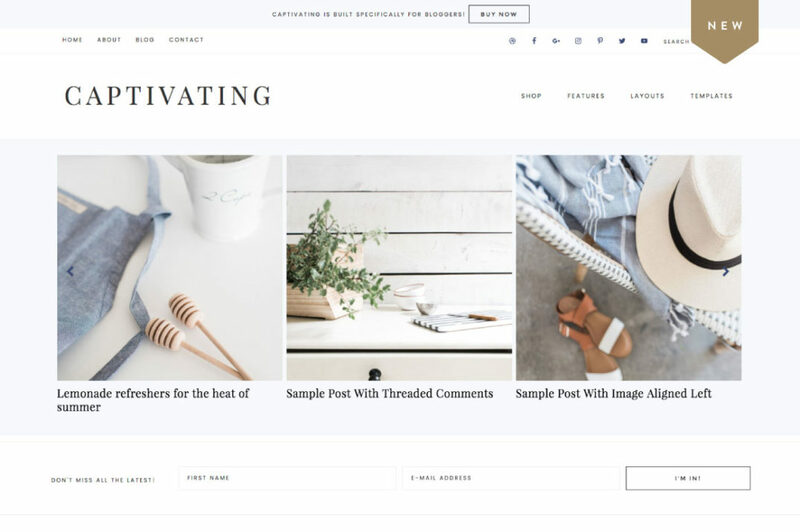 They’ll provide you with horizontal, vertical and square formats that you can use for your Pinterest covers, social media posts, and blog images. I like using free stock photos too, and I use Unsplash for that. There are downsides to using free stock photos all the time, though! 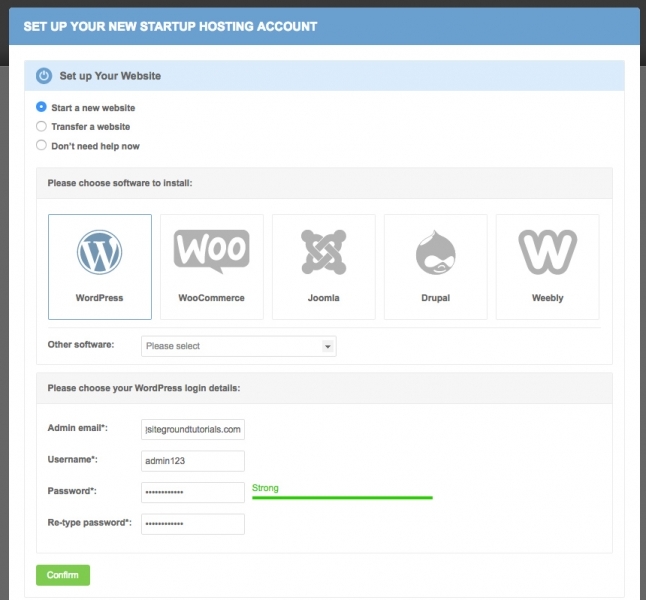 Install a Premium WordPress Theme. 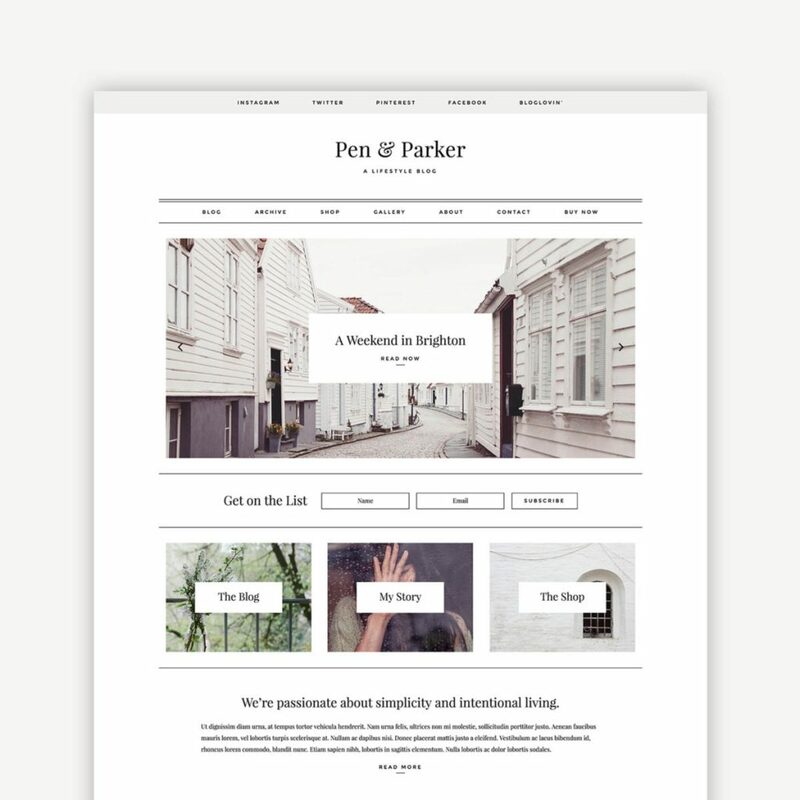 What’s nice about using a premium WordPress theme is, the theme developer already takes care of the plugins that you need to make it look functional, professional, and pretty. If you love classic and sophisticated, 17th Avenue is for you. This was actually a recent discovery for me but already a favorite! 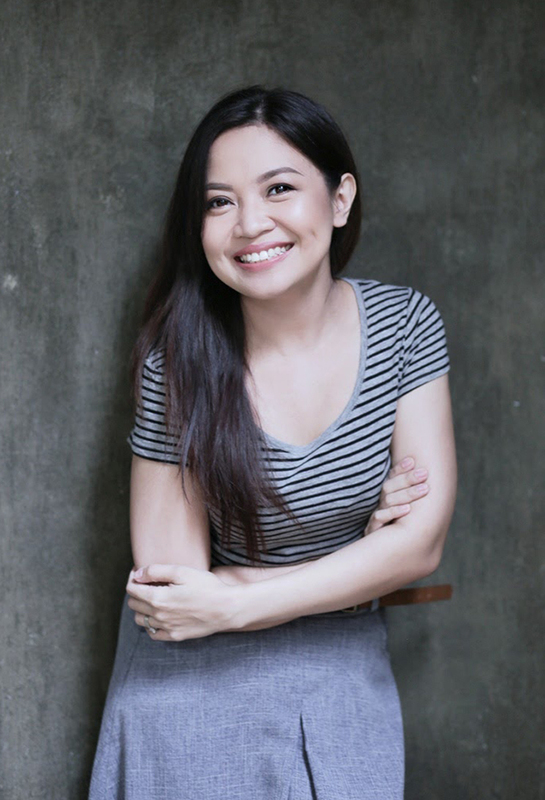 Highly recommended for lifestyle and beauty bloggers, as well as for personal blogs. Chasingdreams.net is designed with a theme from 17th Avenue. 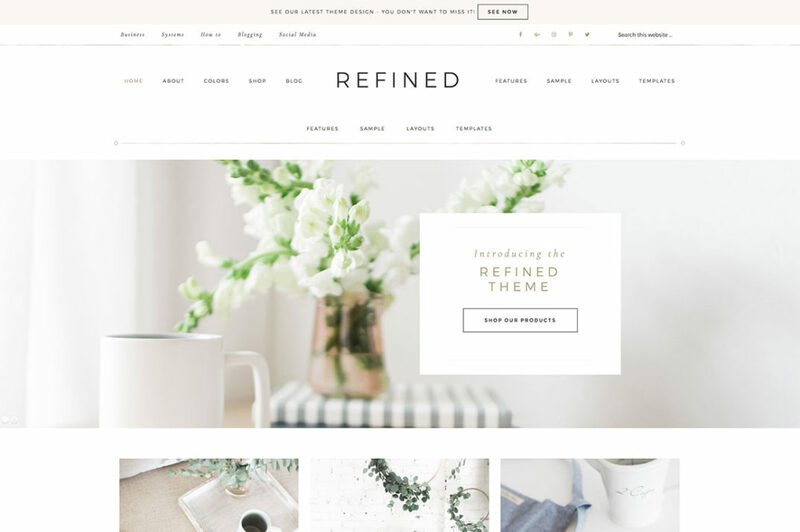 Restored 316 is known for its feminine WordPress themes that are perfect for creative entrepreneurs and bloggers who have online shops. If you want you offer services or sell products alongside your blog, I highly recommend Restored 316. Consider your home page as your main entrance. Depending on what your purpose is for your blog, your home page should be able to tell your visitors what to expect and where to go. Do you offer services? Do you have a shop? Make it easy to navigate. Most bloggers already have their blog posts on their home page, but if you have other information on your home page, a separate blog page keeps all of your posts in one place. The about page is one of the most important but often neglected parts of your website. This is one of the most visited pages so don’t take this one for granted! Have a page where all your contact details (email address, social media pages) can be easily found, BUT of course without disclosing your actual address and phone numbers. Download this FREE Blog Launch Checklist. Includes tools, plugins, and other blog essentials you need to launch a purposeful and profit-ready blog! Sometime last year I shifted from Mailchimp to ConvertKit. At first, I struggled with having to pay a premium for an email marketing software that I wasn’t actively using, considering the alternative (Mailchimp) is “forever free”. But as I revisited my ConvertKit dashboard, I realized that I was actually gaining email subscribers on autopilot throughout the past couple of months I’ve had ConvertKit forms on my blog. Take note that I was not actively promoting or updating my blog during these idle months. It was worth the shift, for sure! It was through ConvertKit that I was able to launch my first e-course, 7 Days to Blogging with Purpose, as well as offer free downloadable content upgrades across my blog. If you’re serious about growing your email list, engaging with your readers, and monetizing your blog, ConvertKit is one of those investments you’d want to make. If you followed the above process, you would have a fully functioning and professional-looking blog in one week! Which means you can dedicate the entire second week into the actual creation of content. Assuming, of course, that you started the relaunch process already knowing what your direction is for your blog. Establishing your blog content strategy is important because this will set the course for your content creation process and blog monetization moving forward. If you haven’t done this yet, you can quickly download my Blog Content Strategy Workbook here. By going through this workbook, you’d be able to identify your goals, target readers, unique niche, and blog categories. Towards the end of this workbook, there’s also a page where you can dump blog topic ideas. List down those topics you want to work on and prepare to start writing! For 5 days, focus on just writing content. That’s roughly ONE WEEK, and I challenge you to create one piece of content per day for 5 days. If you have existing content that you can update or repurpose, you can add this to your repository of content too. The main idea is, you want to be able to schedule content in advance, pre-launch. I had about 8 blog posts published by the time I launched ThePurposeblog.com—half of them repurposed content, and half of them brand new. That’s enough to go around for my first readers, and enough to capture some subscribers right out of the gate. Start Making Noise, your Blog is Live! My launch plan is really simple. I prepared an email series to let my subscribers (from my old blog) know of this new blog. Also, using some of the stock photos I bought, I prepared a series of photos for social media too. And there you have it, my 2-week blog relaunch process. And now it’s your turn! Happy launching!